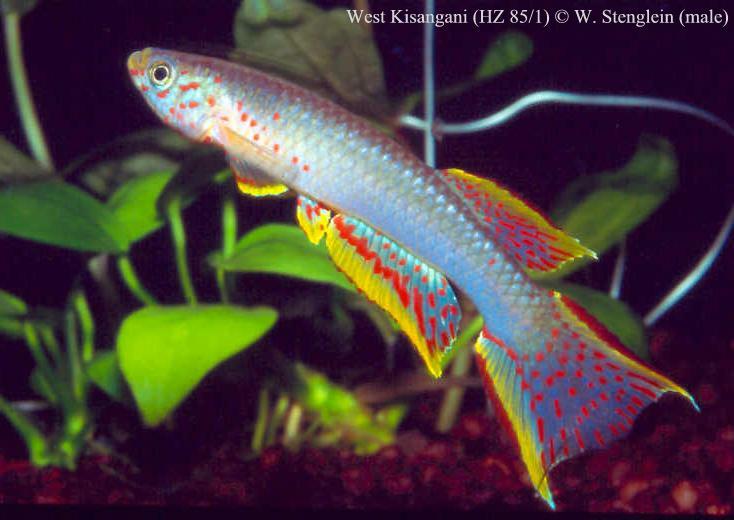 To Collect Killies can be very rewarding for an experienced or an expert aquarist who has a taste for adventure, who would like to breed his own collections… or, even, to discover a new species. Killi-Data online aims to stimulate collecting trips by young members from cooperating killifish associations. Killi-Data online will grant them with money to finance part of their project. Interested aquarists must send a short DOSSIER to the editor by e-mail, with their objectives. Ichthyologists, too, undertake collection trips, but their objectives may be completely different if their focus is biology, ecology, behavior, systematics or… fisheries. Obviously, ichthyologists expect aquarists to cooperate with their studies and it happens regularly. On the other hand, ichthyologists, when collecting, must not forget to bring back live fishes for aquarists: they usually go to more remote, un-prospected areas and the few donated pairs may well produce a stable long term strain in aquarium, in turn useful for future research. For collecting, there are critical issues to address: collecting Killies in the wild is not just like having fun at a ***** tourist holiday resort. The 3 following chapters cover everything that is important to be successful, except luck… but luck only comes to prepared, team-working and entrepreneurial candidates. The list of species by country, a critical information for a successful collecting trip, contains all recorded species for each country, and if large countries, for each region, state or department. Note: sorry, it is only available in the book Killi-Data 2007, since the size of the file makes it too big and too long to update regularly (and also in the data-base, for members). If you would like to obtain the list for one country only from the book, just ask in CONTACT. After REGISTRATION, the access to the Data Base allows to view the known collecting localities with geographical coordinates. You have undertaken one to several collecting trips and wishes to CONTRIBUTE by forwarding a list of localities with their geographical coordinates (or simply to comment). You are looking for partners to organize a collecting trip or to share costs, then send the information in CONTACT and have your project presented in COOPERATE.